Sara joined us as an associate in 2017 and currently practices in general insurance litigation. She enjoys working with her clients to find practical and principled solutions, and is dedicated to providing strong advocacy on their behalf. Sara has appeared for her clients in matters before the Supreme Court of British Columbia and the Provincial Court of British Columbia. Before becoming a lawyer, Sara studied Mathematics. This background helps her to view facts logically and analytically. 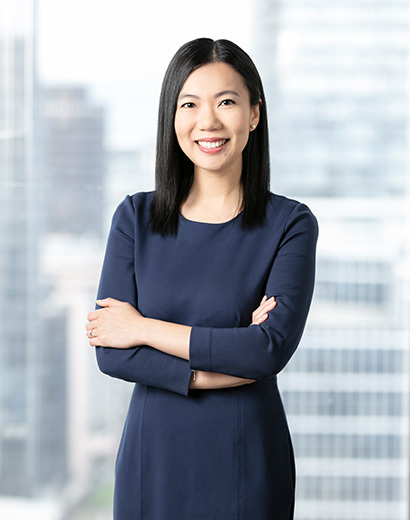 Everything she does—from careful consideration of the legal issues, to mediating discussions with opposing parties—is to build a foundation to lead to favourable outcomes for her clients. On the weekends, Sara can be found hiking Vancouver’s surrounding trails with her husband or spending time with a good book and a cup of tea.